I don’t usually characterize the foraging year as being “a good year for bear’s head tooth.” Chicken mushroom – let’s talk about them; chanterelles – they definitely deserve a mention; morels – let me see your pictures. Based on the last few weeks exploring the forest, however, I can confidently proclaim that it has been a great year for bear’s head tooth! 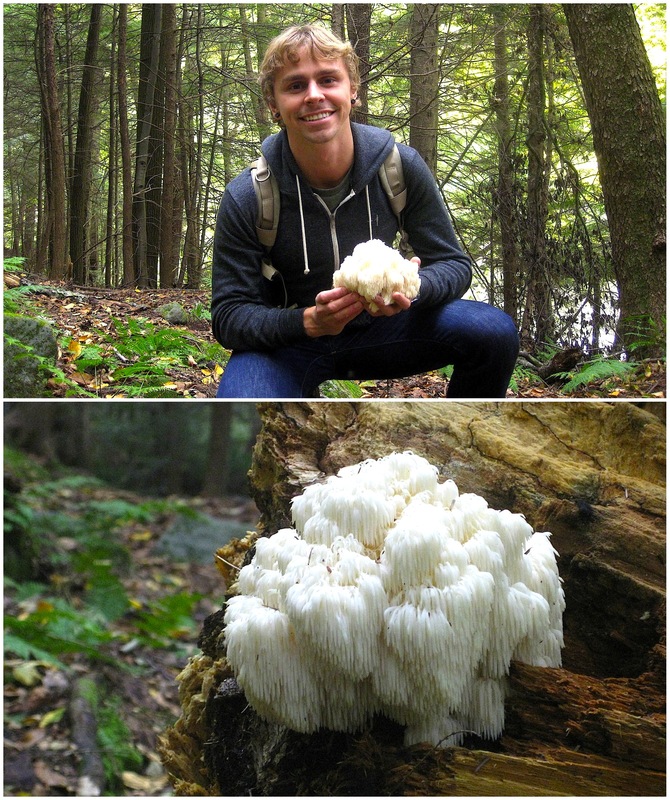 Bear’s head tooth (Hericium americanum) provides a stunning sight with its branched icicle-like body, resembling a miniature frozen waterfall. It appears late summer through autumn on fallen logs or the wounds of trees (mostly hardwoods), though its presence is considered infrequent to rare. All the more reason for me to proclaim that it has been a great year for this forested jewel, as I have found it on numerous occasions. Other Hericiums (of which lion’s mane is one) resemble bear’s head tooth, and all are considered to be edible (cooked, of course) with no poisonous look-alikes. Cut it into small pieces, saute it in butter with garlic, season with your favorite spices, and serve with a squeeze of lemon. I found this magnificent specimen while hiking in a park northwest of Pittsburgh. This is the weirdest and most gorgeous mushroom I have ever seen. And you can eat it. What more could you ask?? It sure is a stunning sight! I’m always amazed at its beauty when I come across it in the wild. Sometimes, it looks too good to harvest … but of course, they usually end up coming home with me! Thanks for commenting! They almost don’t seem real!! No problem!